Now you have a solid reason to smile about. Get the power of Shriram Insight's AUTO PAY-IN on your side while you trade. Make transfer of your shares smoother and faster. AUTO PAY-IN is a service offering the facility of "Power Of Attorney (POA)" for Pay-in of securities to fulfill the settlement obligation. Through this facility, shares sold by you through Shriram Insight will automatically be transferred to pool account for settlement pay-in. 1. No need to issue/submit separate Delivery Instruction Slips, against each pay-in obligation. So you save time, save auction, save hassle. 2. The deliveries executed on behalf of the clients will also be confirmed through SMS and e-mail. 1. 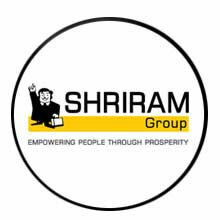 Enter into an agreement granting Shriram Insight Share Brokers Ltd the "Power Of Attorney (POA)"
2. Let us know your E-Mail ID and Mobile Number.